When your favorite garment has more holes than a slice of swiss cheese, do you toss it in the rag pile or trash can? 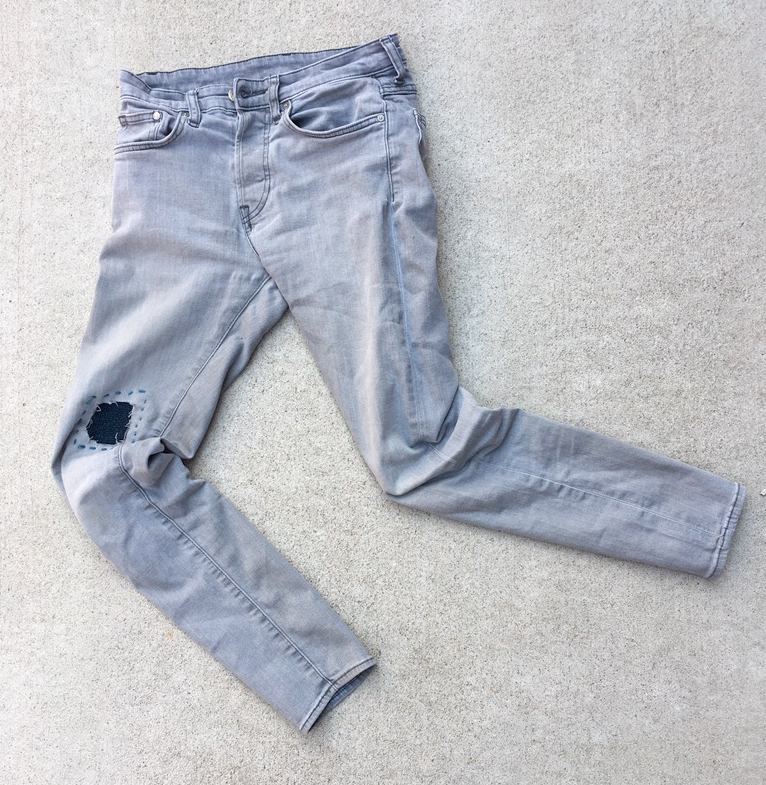 Rips and tears near a seam are easy to repair invisibly, but a hole that's front and center requires a little bit of ingenuity - here's where the visible mending trend can come in handy. Visible mending has become an art form unto itself by using a variety of materials and techniques to highlight what was once an imperfection in a garment, turning it into something unique. Below, you'll find some creative ways to reinvigorate your wardrobe with visible mending! Wave, Perri and the entire Woolery crew. Image by Hunter Hammersen, used with permission. 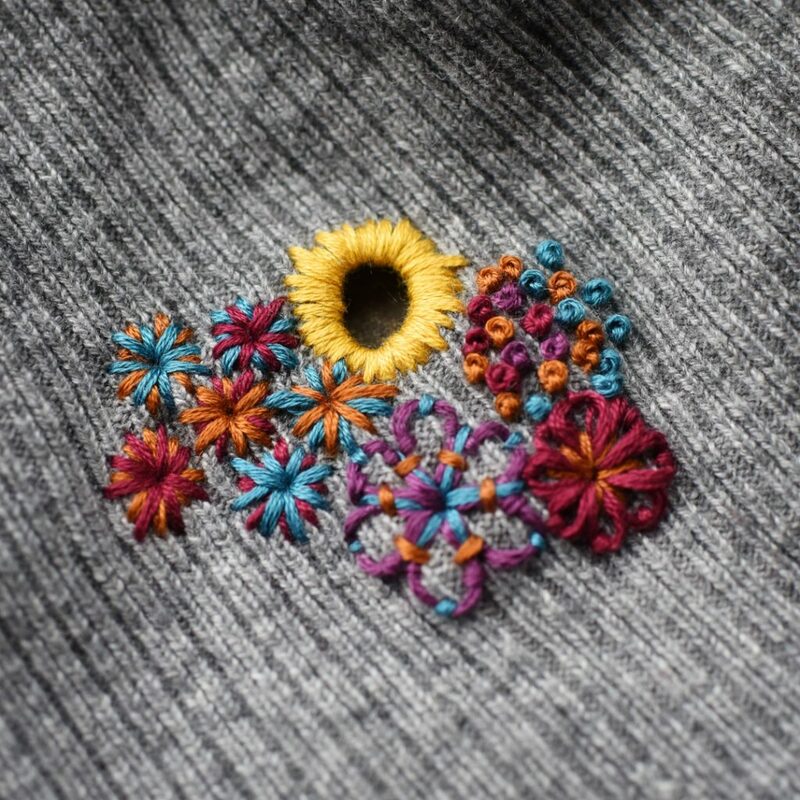 Knitwear designer Hunter Hammersen has been chronicling her process for repairing a holey sweater using colorful embroidery techniques. Here, a pair of torn jeans have been mended using Sashiko, a traditional Japanese embroidery technique that employs repeating geometric designs. A combination of fabric patches and Sashiko were used to mend these children's garments on the Swoodson Says blog. Find loads of visible mending inspiration here on the Tom of Holland blog; this excellent tutorial on the Sew Mama Sew blog will help you master the sewing techniques needed to embark on your own visible mending adventures with needle and thread. Bonus: You can combine any of the techniques listed above with our latest tutorial, using Zoom Loom squares to patch holes in any garment - click here to download our free PDF! What are your favorite tutorials or techniques for visible mending? Leave them in the comments, or share your photos with us over on Instagram using #thewooleryshop in your post!